The Irish distance runner discusses her training set-up and the important role coach Eamonn Christie has played in her development. 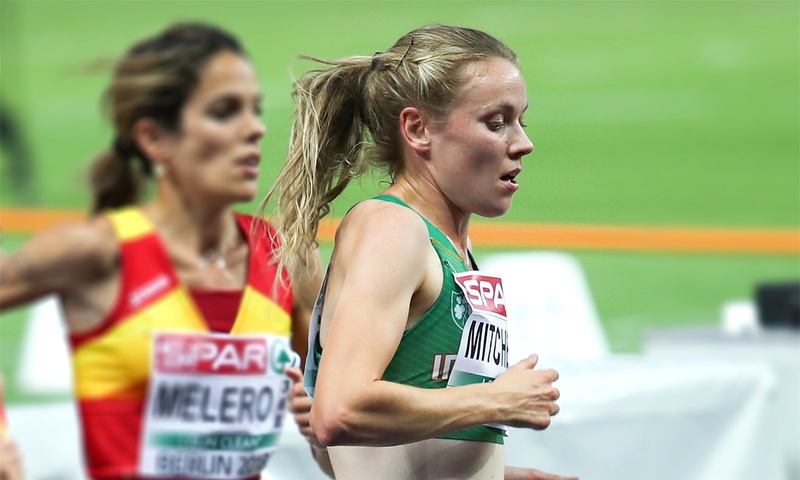 After breaking the Northern Irish records for 5000m and 10,000m on the track, and 10k on the roads, Emma Mitchell now aims to step up to the marathon ahead of the Toyko Olympics in 2020. 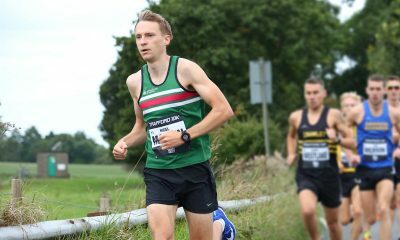 Mitchell’s debut half marathon of 74:38 in September 2018 is certainly a positive indication of exciting times ahead for the 25 year-old. 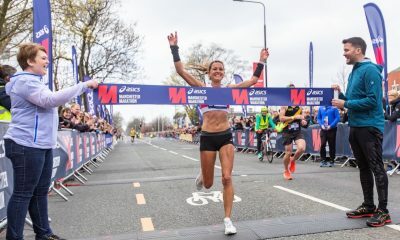 The Eamonn Christie coached athlete spoke to Fast Running about the role her coach has played in her development, what a week of training looks like and her simple approach to nutrition. 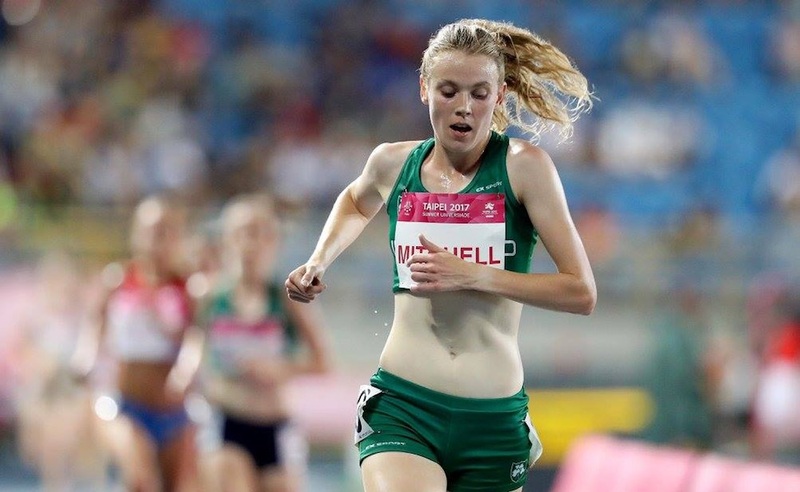 The Belfast Irish Milers Meet race director is clearly key to Mitchell’s long running purple patch, which she hopes will continue into 2019 as her debut marathon approaches. “Eamonn and I have a great relationship,” she enthuses. “Although I do all my training alone, he’s there to time my session reps three times a week, every single week. “I could count on one hand the number of times he’s not been there over the last two years. We’re also always in touch on non-session days to talk about how my runs have gone. “He has a very straightforward and simple approach to coaching. I find out one day in advance what training I have, and find out my session when my toe is on the line, ready to go. “I don’t use heart rate monitors or anything like that, I just run how I feel each day. He’s confident I know to listen to my body and to take it a little easier if needed. Christie’s training schedule is a no-nonsense affair, with four double run days, two long runs and two cross training sessions included every week. Mitchell credits the gym and aqua jogging for helping her stay injury-free, adding that she “enjoys aqua jogging”, a sentence not many hardened runners would care to admit! She also thinks a decision to avoid cross country racing since the 2015 European Cross Country Championships led to that six month layoff has helped her track and road speed. “Avoiding the underfoot conditions you are faced with in cross country races has helped to keep injuries away,” she says. Mitchell prefers running on the roads when weather permits, and is a creature of habit with her run routes. “I do most of my runs on the Lagan towpath in Belfast, which is beside the Mary Peters Track where I do my track sessions,” she explains. “The towpath is great – there’s lots of little loops you can follow but I’m not terribly adventurous. I have a few loops but longer runs tend to be out and back the same way! She runs twice on Mondays, with a second run on a Tuesday consisting of a track session in the evening. Wednesday is a long run in the morning then an aqua jog or gym in the evening. Thursday is a run in the morning and a grass session or tempo in the evening, with a run then a gym session on Friday. 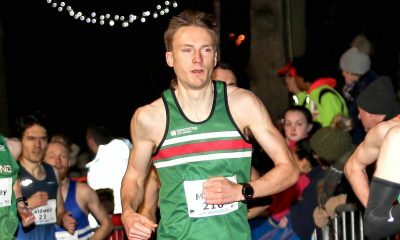 Saturdays see Mitchell taking to the track or the grass for a morning session then a steady evening run, followed by a standard Sunday long run. Those twice weekly long runs will no doubt help her when she steps up her mileage ready for a spring marathon in 2019. Fuelling such a busy schedule clearly involves a lot of planning, but it’s refreshing to hear the Banbridge athlete keeps her nutrition simple. “I enjoy cooking and baking and make most things from scratch – I don’t take any supplements, protein shakes or bars,” she reveals. “On session or race days I always have oats for breakfast topped with berries, nuts and Linwoods Flaxseeds. “Lunch is usually eggs in some form, with homemade rye bread. Most dinners include some sort of protein, vegetables and carbohydrate.